Mindset is one of those rare audio books that can help you make positive changes in your life and at the same time see the world in a new way. A leading expert in motivation and personality psychology, Carol Dweck has discovered in more than 20 years of research that our mindset is not a minor personality quirk: it creates our whole mental world. It explains how we become optimistic or pessimistic. It shapes our goals, our attitude toward work and relationships, and how we raise our kids, ultimately predicting whether or not we will fulfill our potential. Dweck has found that everyone has one of two basic mindsets.If you have the fixed mindset, you believe that your talents and abilities are set in stone - either you have them or you don't. You must prove yourself over and over, trying to look smart and talented at all costs. This is the path of stagnation. If you have a growth mindset, however, you know that talents can be developed and that great abilities are built over time. This is the path of opportunity - and success. 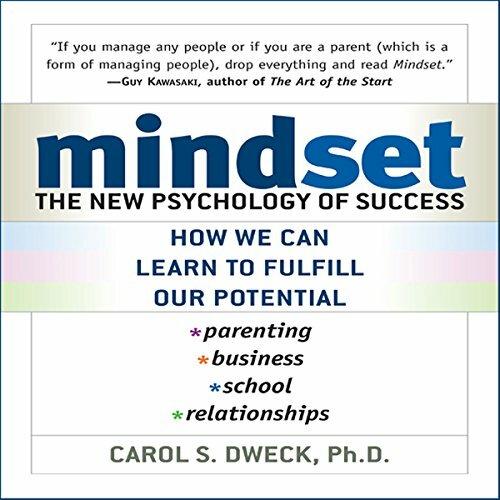 Dweck demonstrates that mindset unfolds in childhood and adulthood and drives every aspect of our lives, from work to sports, from relationships to parenting. She reveals how creative geniuses in all fields - music, literature, science, sports, business - apply the growth mindset to achieve results. Perhaps even more important, she shows us how we can change our mindset at any stage of life to achieve true success and fulfillment. She looks across a broad range of applications and helps parents, teachers, coaches, and executives see how they can promote the growth mindset. Highly engaging and very practical, Mindset breaks new ground as it leads you to change how you feel about yourself and your future.